I write this as I begin the task of packing my supplies and product for the show. As I have mentioned in past posts, I'm now an old hand at this and have kept notes and created checklists to make sure I don't forget anything. Of course, I still manage to forget one minor odd-and-end, though usually not anything major; I've actually had dreams where I have forgotten to bring my most current issue to the show and have had to drive back to L.A. in a panic to retrieve them! In addition to debuting Rob Hanes Adventures #12 at the show, I'll be debuting the pin button you see above. It will be available for free with any purchase! Anyway, if you're planning to be at Comic-Con be sure to stop by and say hi! I hope to post some pics and some reports during the show and, of course, will do my usual post-Comic-Con report and photo gallery afterwards. Randy Reynaldo, writer-artist of the long-running indie small press title, Rob Hanes Adventures, will make his 12th appearance at the 2009 San Diego Comic-Con, scheduled this year from July 23-26. 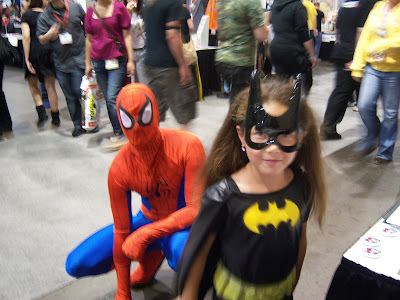 Randy and the WCG Comics crew will again be in BOOTH S14 in the Small Press Pavilion of the main exhibitor's hall (row S against the wall on the west side of the building, off of aisle 1400). This year marks Randy’s 12th appearance at the show as an exhibitor. 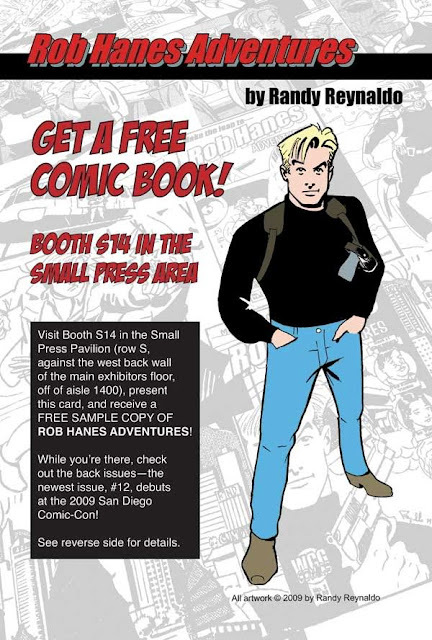 Randy will have the newest issue of his action-adventure series (#14) available at Comic-Con. In the issue, Justice International agent Rob Hanes is hired to extradite a beautiful felon back to the U.S., and becomes stranded with her on a desert island in the Pacific after their plane goes down. Cover by guest artist Benton Jew. Preview pages from the issue are available at https://photos.app.goo.gl/dmzMZ8cDEN9qMTiEA. In addition, Randy will have FREE sample issues of the series available at the show. Pick up one of the promotional cards at the show or simply visit the booth to pick up the issue and check out back issues. 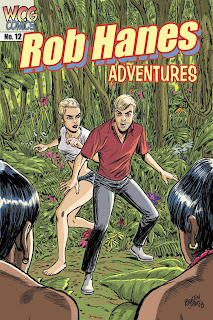 Launched in the early 1990s, Rob Hanes Adventures is one of the longest running independent titles still being published. Following the exploits of a modern-day soldier of fortune and spy-for-hire who works for worldwide Justice International, the series takes a serio-comic and modern-day approach to the classic high adventure strip genre, reinventing and making it fresh for modern audiences. 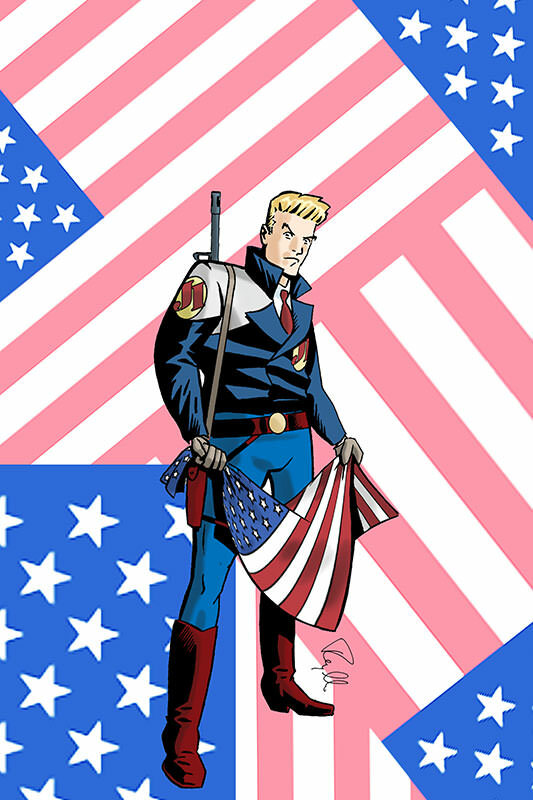 Fans of classic comics like Terry and the Pirates and the Spirit, or of current spy fare like Danger Girl, will enjoy Rob Hanes Adventures. Every story is self-contained in each issue. 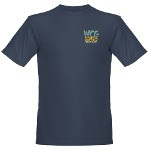 For more information about WCG Comics, visit the company's website at http://wcgcomics.com. Pictured above: Front image of the promotional postcard that will be distributed at the San Diego Comic-Con.